The first day of summer brought me a gift: the first head cold of summer. I’ve spent the past week on my couch, going through a full box of tissues, drinking gallons of green tea, and catching up on Season 3 of The Americans. I could do all of that, of course, because this summer I’m at home, with a bed and a couch and endless Internet. But what about last year, when I was sharing space with strangers and moving every day? What happens if you get sick on the Camino? The bad news is, it happens. Although my immune system held up remarkably well for being subjected to 75 different sleeping quarters in 79 days, there was one time when it just gave up and quit. 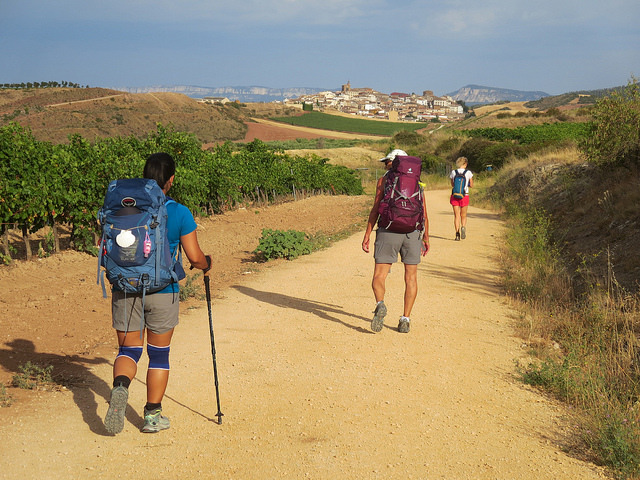 We were in Spain, on the Camino Frances, and had just arrived in Los Arcos. After a rather bad sleep in a donativo albergue the night before, we splurged on a slightly nicer private albergue in the center of town. Still bunk beds and shared rooms, mind you, but the mattresses were thick and the bathroom—one floor down a lovely tile staircase—was clean and modern. After an afternoon exploring the town (the Los Arcos cathedral is AMAZING…don’t miss their open hours) and a mediocre dinner, I retreated to my lower bunk, feeling a little “off.” I woke up in the dark of night feeling very off. Out of the sleeping bag, past all my snoring roommates, out the (squeaky, of course) door, down the charming but treacherous staircase, and into the bathroom…just in time. Don’t worry, that’s all I’m going to say about that. This is me in Los Arcos, the afternoon before I got sick. In hindsight, I should have wondered why I felt like I needed to wear every single warm thing I had — the scarf, the long-sleeved wool shirt, the jacket, the socks under sandals, probably the long underwear under the pants — on a sunny afternoon in late May. Thinking I’d eaten the wrong thing at dinner, I made my way back to the bunk, back to sleep…only to wake up an hour later and do it all over again. And then again an hour after that. That charming, treacherous staircase became my enemy, and the modern plumbing my only friend. And that nice thick mattress? I didn’t spend nearly enough time with it. In the wee hours of the morning, when our roommates started stirring, I whispered to Eric that we wouldn’t be going on to Viana that day. I stumbled down the stairs and managed to drink some tea while Eric talked to the albergue owners. Mi esposa está enferma. My wife is sick. Can we stay somewhere in town today? And here, my friends, is where the good news kicks in. That saying “the Camino provides?” It becomes utterly true when things go wrong. The albergue owner took one look at me, faintly green and sitting uncomfortably close (although not dangerously close, dear reader; I promise I kept my distance as much as possible) to his lovely breakfast spread, and made a phone call. In five minutes, it was arranged. The next bit is fuzzy in my memory, but I know there was a pickup truck, and a man who spoke only Spanish, and a code for the door of a guest house…or maybe a hotel…a few blocks away. All I know for sure is that at 8:30 in the morning, I was in a clean, white, private room…with my very own bathroom. I could see that top of the cathedral from the window, and watch the storks caring for their babies. And I could sleep. I spent the day in that bed, and my stomach slowly, slowly healed. By the next day, I felt ready for some food and a short walk (and more accurately, I was starting to worry about an appointment we had to meet a friend in Logrono two days later). I made it 18 kilometers that day, stopping in Viana at the Albergue Izar, an experience I’ve described before as one of my best on the Camino. When Eric came down with the same thing I had, they cared for us, fed us, and made us welcome. So…what does that mean for you? Be prepared for sickness to interrupt your Camino at some point. Almost every veteran pilgrim has a story. That bug I caught made its way through the pilgrims, and many of our friends caught it at one stop or another. Months later, my friend Steve fought fevers and chills for days. If at all possible, give yourself a cushion in your calendar. If it’s going to take you 33 days to walk the Camino Frances, book your return tickets for 35 or even 40 days out. (Yes, I know, your boss only gives you so much vacation, the dogsitter can only be trusted for so long, etc. But this is also a once-in-a-lifetime trip. If you’ve already invested this much, you can squeeze out another couple of days somehow.) We met too many people who kept trying to plow ahead, or who had to skip stages of the Camino, because they hadn’t factored in the unexpected. Remember you’re in a First World Country. Europe’s healthcare system is top notch. There are farmacias (usually more than one) in every town, even the smallest ones that will have standard over-the-counter medicines. Pilgrims who have had more serious ailments almost unanimously report that the doctors, medical clinics, and even hospitals are excellent (and usually far less expensive than any kind of care we’d get in the U.S…but that’s another complaint for another time). What am I missing? What are your “sick on the Camino” stories, or your advice for future travelers? 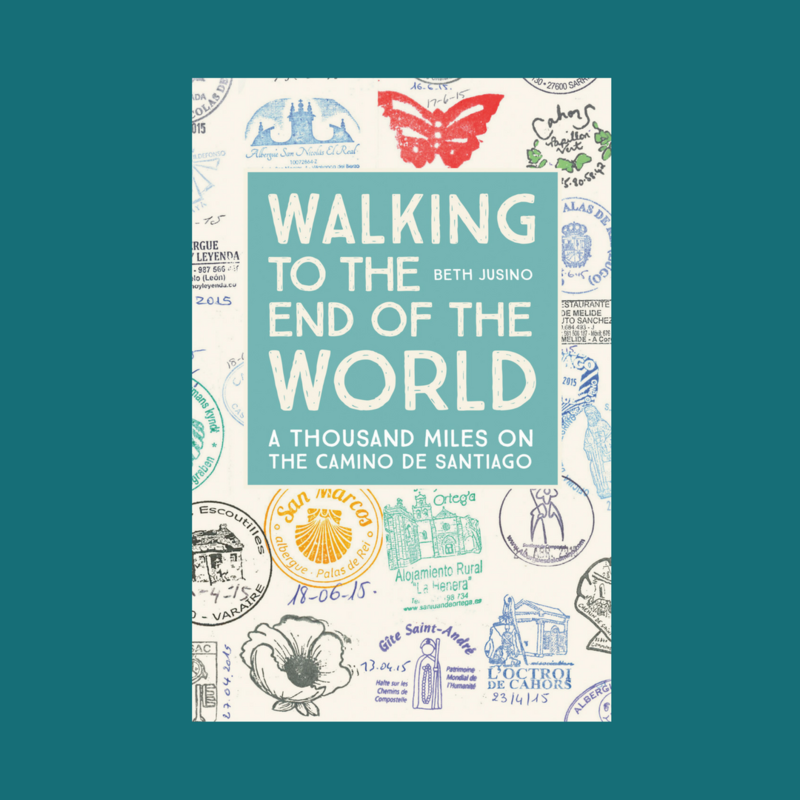 I’m Teaching a Camino Class!